Every Fall communication industry executives from around the world travel to Silicon Valley to attend the Telecom Councils’ TC3 Summit—a 2-day, working summit where companies who build communications networks come to discover innovation. This year’s title sponsor was GeoLinks, a leading telecommunications company and competitive local exchange carrier (CLEC) public utility, nationally recognized for its innovative Internet and Hosted Voice solutions. With the topic of “connectivity” taking precedence on this year’s agenda, GeoLinks’ CEO Skyler Ditchfieldtook to the main stage on day 1 in an address titled “Closing the Rural Broadband Gap.” Beginning by providing an overview of GeoLinks’ success in deploying high-speed broadband to businesses and anchor institutions nation-wide, Ditchfield discussed how closing the digital divide will ultimately require implementing a hybrid network that utilizes fixed wireless to deliver the last mile. Audience members were particularly intrigued with Ditchfield’s innovative case studies surrounding GeoLinks’ fixed wireless product ClearFiber™, many declaring GeoLinks to be “the most impressive start-up to present at the summit.” Operating 100% in-house, Ditchfield explained how ClearFiber™ can deploy rapidly and produce low-latency, gigabit plus speeds at a fraction of the cost of fiber. However, summit attendees also learned that GeoLinks is doing much more than just connecting rural communities with high-speed broadband. The telecom also has a growing footprint in the urban and sub-urban landscapes, giving larger carriers a true run for their money. Following his address at the summit, RCR Wireless Editor, Sean Kinney, sat down with Ditchfield to dig even deeper into all that GeoLinks has done, is doing, and plans to accomplish in the very near future in both the rural, urban and sub-urban landscapes. You can view the entire interview by tuning in to the below video. 1. In a session titled “Closing the Rural Broadband Gap,” Skyler Ditchfield, CEO of GeoLinks, provided an overview of his company’s success in providing high-speed broadband to schools and libraries using fixed wireless technologies, specifically microwave radio operating in several frequency bands. The company’s flagship service is ClearFiber™, which offers customers fixed wireless broadband service on the most resilient and scalable networkSkyler described the advantages of their 100% in house approach to engineering, design, land procurement, construction and data connectivity. GeoLinks approach offers gigabit plus speeds at a fraction of the cost of fiber with lower latency and rapid deployment across the country. A broadband fixed wireless installation on Santa Catalina island was particularly impressive. Speeds on the island (which GeoLinks says is 41 miles offshore) are typically 300 Mbps, and the ultra-fast broadband connection provides support for essential communications services, tourism services, and commerce. GeoLinks successfully deployed Mimosa Network´s fiber-fast broadband solutions to bring high-speed Internet access to the island community for the first time in its history. Connecting the island to the mainland at high speeds was very challenging. GeoLinks ultimately selected Mimosa for the last mile of the installation, deploying Mimosa A5 access and C5 client devices throughout the harbor town of Avalon. Another ClearFiber™ successful deployment was at Robbins Elementary school in California. It involved 19 miles of fixed broadband wireless transport to provide the school with broadband Internet access. Skyler said that next year, GeoLinks planned to deliver fixed wireless transport at 10G b/sec over 6 to 8 miles in the 5Ghz unlicensed band- either point to point OR point to multi-point. The company is considering 6GHz, 11GHz, 18Ghz and 20Ghz FCC licensed bands. He said it would be important for GeoLinks to get licensed spectrum for point to multi-point transmission. More on GeoLinks value proposition here and here. And a recent blog post about Skyler Ditchfield who told the TC3 audience he grew up fascinated by communications technologies. This author was very impressed with Skyler and GeoLinks! 2. In a panel on “Startup Success Stories,” Nitin Motgi, founder and CEO of Cask (a “big data” software company) talked about how long it took to seal a deal with telcos. It’s longer than you might think! In one case, Nitin said it was 18 months from the time an unnamed telco agreed to purchase Cask’s solution (based on a proof of concept demo) till the contract was actually signed and sealed. Nitin referred to the process of selling to telcos as “whale hunting.” However, he said that if you succeed it’s worth it because of the telco’s scale of business. 3. Tracknet Co-Founder and CEO Hardy Schmidbauer presented a 5 minute “fast pitch” to the Telecom Council Service Provider Forum. He talked about his company’s highly scalable LPWAN/ IoT network solutions: “TrackNet provides LoRaWAN IoT solutions for consumers and industry, focusing on ease of use and scalability to enable a “new era” of exponentially growing LPWAN deployments.” The company is a contributing member of the LoRa Alliance and the TrackNet team has been instrumental in specifying, building, and establishing LoRaWAN and the LoRa Alliance for more than five years. The founding Tracknet team includes veterans from IBM and Semtech who were instrumental in the development of LoRa and LoRaWAN. With “Tabs,” Tracknet combines a WiFi connected IoT home and tracker system with LoRaWAN network coverage built from indoor Tabs hubs. Born in Ojai, California, Skyler Ditchfield first dove into the world of technology at the age of 13 when he set up a bulletin board system (BBS) to service 200 members of his local community with dial-up Internet. Directly after high school, Ditchfield accepted a Network Engineer job in Silicon Valley servicing high-level clients such as JP Morgan, Goldman Sachs, Quotron, Reuters, and more. Eventually, he returned to Ojai where he proceeded to build a network business from scratch with $550 in startup capital. Within 4 years, in a town of only 8000 people, Ditchfield grew his small I.T. company to nearly 3M in revenue before selling his shares and moving on. During this venture, Ditchfield simultaneously won a six-figure government RFP, beating out a number of incumbent I.T. providers. In 2010, Ditchfield purchased a 50% share of an outside I.T. company where he quickly reworked operating procedures to maximize efficiency. With newly allotted time, Ditchfield was able to officially start GeoLinks in 2011. Ditchfield currently serves as the CEO of GeoLinks, the fastest growing B2B Internet Service Provider in California, and Inc. Magazine’s 2017 Inc. 5000 NO. 5 Fastest Growing Telecommunications Company in America.  GeoLinks delivers Enterprise-Grade Internet, Layer 2 Transport, Hosted Voice, and both Public and Private Turnkey Network Construction expertly tailored for businesses and Anchor Institutions nationwide. Under his leadership, Ditchfield has led the company to record more than 100% growth for six years straight, and is on track for a seventh, finishing the last three-years sales growth at 748%. In 2017, Ditchfield spearheaded GeoLinks’ efforts in obtaining its status as a California Competitive Local Exchange Carrier (CLEC) public utility, and launched the company into the national marketplace. With a clear passion and dedication to providing affordable broadband to Anchor Institutions across the country, Skyler was invited to speak at the Schools, Health & Libraries Broadband (SHLB) Coalition’s 7th Annual National Convention in June of 2017. He took the stage addressing how and why GeoLinks’ fixed wireless technology, ClearFiber™, is a viable solution when looking to close the digital divide in United States’ rural communities. Following his address, GeoLinks was officially inducted into SHLB membership where Ditchfield currently sits on the fundraising council. Further recognizing him as an industry thought-leader in the country’s evolving broadband discussion, FCC Chairman Ajit Pai formally appointed Ditchfield to the Broadband Deployment Advisory Committee’s Streamlining Federal Siting Working Group in August of 2017. With recent induction into these elevated platforms, Skyler plans to help close the digital divide by shaping policy on a state and national level. How? By shaping policy, working on plans for more affordable broadband, and working to free up more wireless spectrum to close the digital divide. A proud member of the Schools, Health & Libraries Broadband (SHLB) Coalition, GeoLinks was the largest construction grant winner for California K-12 schools and libraries in both 2016 and 2017. Recognizing CEO Skyler Ditchfield as an industry thought-leader in the country’s evolving broadband discussion, FCC Chairman Ajit Pai formally appointed GeoLinks to serve on the Broadband Deployment Advisory Committee’s Streamlining Federal Siting Working Group in August of 2017.